IRVINE, CA. July 10, 2012. Cybernet, the pioneer in all-in-one PC technology, has just released their first all-in-one PC designed for Point of Sale (POS) applications, the iPOS-G45. The iPOS-G45 brings a new level of power and performance increasingly required for POS software applications, while providing a broad range of new and legacy ports to support peripherals at the point of sale. Cybernet’s iPOS-G45 uses the latest Intel G45 Express Chipset for maximum processing power; supports up to 8GB of DDR3 memory; and has an industrial-grade resistive touch screen that withstands up to 10 million touches. 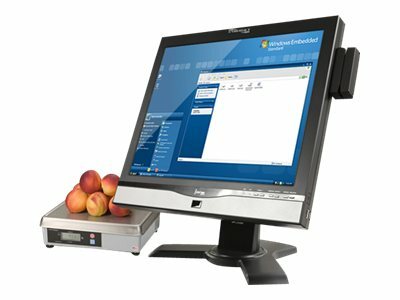 Since 1996, Cybernet has been designing and producing all-in-one PCs that are contained within a keyboard or LCD monitor, customized in accordance with specifications unique to their customers’ industry and business operations. Cybernet is focused on several vertical markets: retail, health care, banking, government and education. In designing the iPOS-G45, Cybernet worked with POS system integrators and retailers to identify the best performance specifications and features that were needed to not only sustain POS operations, but to make the process more efficient, reliable, and user-friendly. Cybernet will be working through POS system integrators to deliver the iPOS-G45 to the retail, hospitality, and government markets. Specifications, photos, and more information about Cybernet’s iPOS-G45 can be found at the product page on their website. Also visit Cybernet’s Facebook and Twitter pages for news and updates on the iPOS-G45.